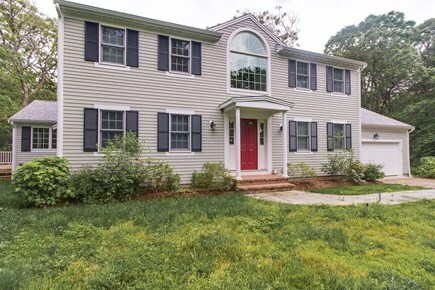 Go on a Cape Cod getaway and stay at this quintessential New England home in Harwich Port. 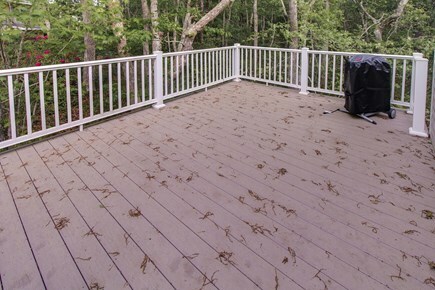 There’s plenty of room for relaxation, a top-notch location near town, and a beautiful deck with an outdoor grill for BBQ fun. 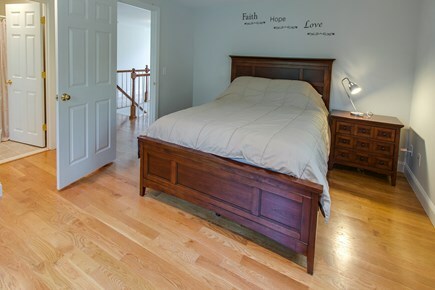 This home is tucked away in a quiet neighborhood just a few blocks from Main Street, plus the beach is nearby as well. You’ll have an abundance of room to entertain and hang out, thanks to this home’s modern layout. 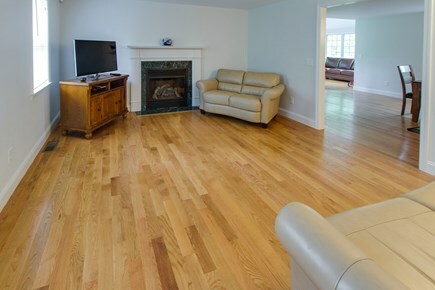 The living room has a gas fireplace, comfy furnishings, and a TV with DVD player and free WiFi to keep you connected. 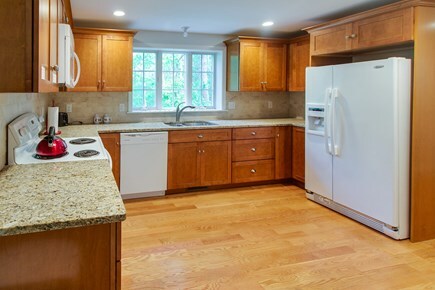 In the fully equipped kitchen, there’s plenty of space for cooking, plus a convenient dishwasher and large fridge. 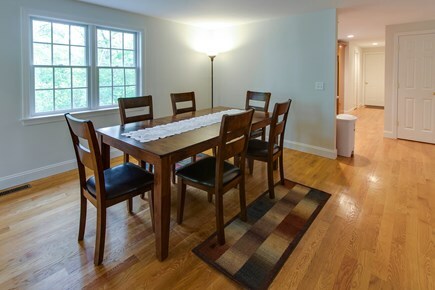 In the dining area, you can enjoy a nice meal with everyone at the updated table for six. Out on the expansive deck, there’s an electric infrared grill for prepping your BBQ favorites. 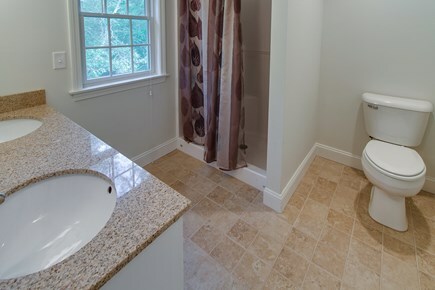 This home has central A/C, a two-car garage, and a private washer/dryer for your convenience. 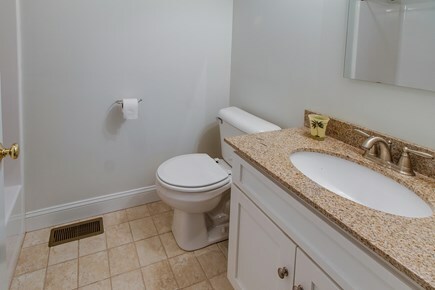 However, please note that there is no cable or internet - it’s the ideal place to disconnect from your daily stresses. Head outside and discover Harwich Port just a few blocks from the house - you’ll have plenty of amenities and restaurants to choose from. For outdoor recreation, Red River Beach is less than a mile away for swimming, kayaking, and boat rentals. Nearby, you’ll find the Cranberry Valley Golf Course about four miles away and great fishing out in the Saquatucket Harbor. There’s also the beautiful Cape Cod Lavender Farm just a few miles from the house - it has woodland walking trails and amazing lavender fields. 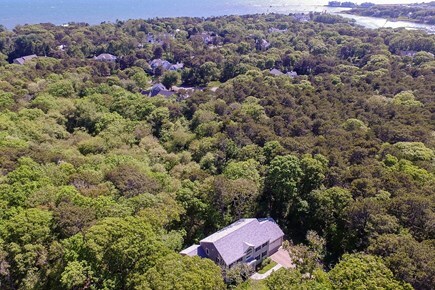 Stay at this beautiful Cape Cod home today and have an enjoyable retreat any time of year - book your trip today! Had a nice stay in this home. It was perfect and the right price for a short weekend stay where we weren't going to spend much time at the house. It was spacious enough but without much furnishings on the walls or rugs it seem very barren and not much Cape Cod charm. Would of booked some place a little more homey if we weren't doing it last minute. But overall it was a great property with everything we needed for the weekend. Great house for a week or weekend stay! good for groups of families. 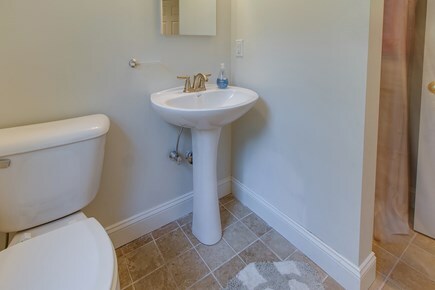 Awesome that every bedroom has a bathroom. great location! 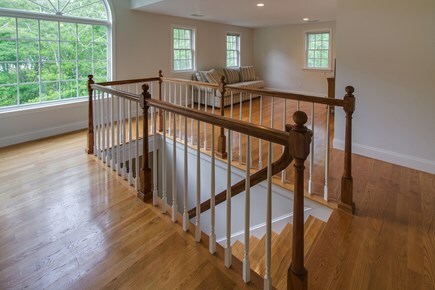 This is a great home for a secluded time with friends and family. My 3 brothers (close friends), two of our dads and myself stayed at this house. We had a great time and there was plenty of room. All of the Vacasa staff was very friendly and helpful with all aspects of the vacation. Especially when we got locked out of the house and with one call the staff was able to fix it.